I did not think it possible, but here it is, I found another of these DFY (done for you) programs that supposedly will have you making money by doing almost nothing yourself. Again my rating is not based on having been a member of this platform, but mostly on the contents of their website, and in this case a half hour video, and some available reviews. Read on and I will let you know what it is, why I rate this program so low and I will direct you to a real, honest, legit way of making money online. So what exactly is this system. As I said it is a DFY based program that will provide you with a secret method, by which you can siphon off money from the huge pool of money that YouTube generates all year, supposedly 70 billion dollars. You will be able to receive money from people watching video’s on YT. This allegedly fool proof system works for everybody who is smart enough to enlist right away, as Mike only will teach a limited number of students. He claims that the system is only working for him and a certain limited number of members, namely 20 students per day. I would say that this is an attempt to make us believe that many people have signed-up already, because this is one of these unique opportunities. He even dares say that whilst you are watching his video, you might loose this opportunity already. Rather than finding this a strong point, I always find it an admission of weakness. 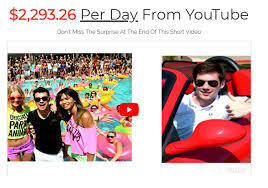 The homepage has a header that says $2293.26 per day from YT and is followed by with two pictures, one of a guy having fun on a holiday and the other one showing the same guy in a sports car. By the way, this is not Mike Andrews, but his friend, who apparently made it big time on the internet. Unclear is how his friend came to that life style. A button across the pictures will open the video. The video, which lasts about 30 minutes, is the main part of his homepage, which further contains a starter button, some testimonials and the usual small print with of course an earnings disclaimer. The message is that everybody who signs up for this program will start making some $500 a day from day 1, which can add up to about $180,000 per year. These numbers form the red thread throughout the video and are repeated until they become boring. Mike wants to blindside people with these numbers, but I only get very annoyed by such a low quality selling pitch. Mike assures us that he has developed a secret system of siphoning money from YT. He further asserts that his method, which of course has not been revealed, has nothing in common with MLM’s, pyramid schemes, CTA marketing, paid surveys or crypto currencies. You only gain acces to his secrets when you have applied and been accepted into the system. Is there any reason that you would not be accepted? This does not become clear, but I think this is another attempt at looking more important than they really are. Something like keeping up appearances. So, this is about all Mike says about his secret system, which has to remain a secret. Oh, he raised one corner of the veil saying that his system works completely in a cloud, or outside server, meaning that you will not own anything and he can do whatever he wants. He has got complete and utter control. Maybe you can live with that, I surely cannot. What I can live with though is part 4 (lol). The video, at the end, mentions that you can see the cost underneath the video screen, but on checking I could not find it. But he did say that he should have been selling a membership for this program for a whopping $1997, but evidently, as the philantropist he is, he will offer it for $37 to us. Oh and when I opened his website one more time, there was a sudden pop-up saying not to miss out on this great opportunity and become a member for a discounted amount of just $17. In order to further boost his program, Mike offers a 60-day money back guarantee. He has so much believe in the authenticity of this program that he is capable to give you this money back guarantee. But if you find that the Tube Profit Sniper doesn’t do it for you within 60 days after buying, then you are free to claim your money back. In his video he also admits that he is heavily in debt, so by charging such a low membership fee, how is he ever going to get out of it? As with all these type of systems, they are showing you a lot of testimonials that have to strengthen the legitimacy of this scheme. The thing here is that you have no way to verify the truthiness of these videos. Knowing that there are web sites where you can just buy these fake videos, even done by real actors, I feel not convinced at all that they are real. They form no prove of credibility and to me it is more like prove of the opposite. Like trying to hide something. The Tube Profit Sniper website home page including video are one low quality sales pitch, which tells virtually nothing to interested people. The repeated use of incredible revenue numbers is only one of the hooks used by Mike. Another one is the limited number of available places in his ‘fantastic’ program. And I personally do not believe in programs promising you so much money whilst they do all the work and you can sit back and relax and collect commissions. You’ve got to be kidding me! If you really want to become your own boss, working from home on the internet and become successful as well, you would need the right scam free program with the right training and full support throughout your development. You would need a website, get traffic and then make money, which takes some time and effort to be a real business, as with all other start-up businesses. Although there are many such programs available, I like to introduce you to one of the best called Wealthy Affiliate (WA). You will have a website within minutes and can start immediately. Contrary to the website above I have written and in-depth review of who WA is, what they do and how they do it and what they can offer you for the reasonable fees requested. I know by experience as I have been a member since late 2014. You can access this full review by clicking here. This review also has a link to that program where you can sign-up for one week for FREE. If you have any questions, please just leave them in the comment box and I will respond within 24 hours. Thanks for a great review, it’s good to read about a product claiming you ultimate success. You have clearly gone into some great detail about Tube Profit Sniper which doesn’t surprise me that marketer will you use anything to scam people out of there money. 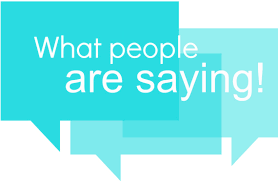 I’m glad you have mention (WA) aka wealthy affiliate for creating people real success with real results. 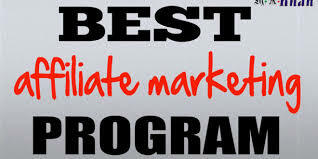 Joining Wealthy Affiliate is the best investment anyone could if they want success in life. 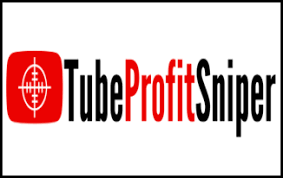 I really appreciate your honesty about these types of product like TubeProfit Sniper and looking forward to reading more of your work. I take some pleasure in the undoing of some of these schemes, although at the same time I am aware that some people still might fall to the big promises made and the money expected. I just hope to help people before joining such a program. I agree that Wealthy Affiliate is possibly the best of such support platforms available right now. Previous PostPrevious Should you be a Member of Covert Commissions?